PLEASE NOTE: Due to an increased demand for this popular machine, please allow up to six weeks for delivery. However, you will receive an email that contains instructions on how to redeem your online class immediately after completing checkout. This allows you to get started with your online training right away. MediCupping™ – Home Study online course. Includes two training videos with a total runtime of 166 minutes. Also includes an exclusive, third instructional video (47 minute runtime) on how to use your new machine. Students keep the course forever, even after it’s completed. Final exam w/ certification may be purchased separately at a cost of $40. Completing the exam earns students 12 NCBTMB CEUs. A wide variety of sturdy glass cups for face and body. Six extra large contoured plastic cups for specialty work. One bifurcated hose for using two cups together. 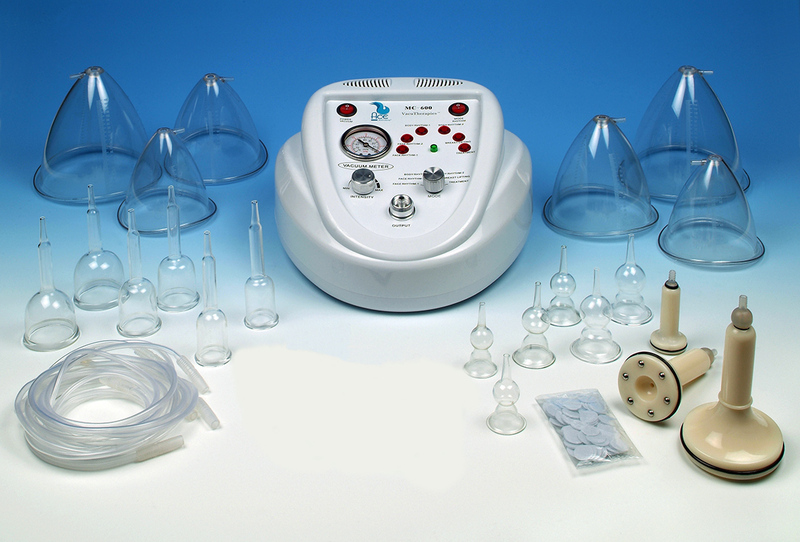 An affordable and portable machine, this is the ultimate tool for therapists trained in vacuum therapies! This unit eliminates the hand pumping manual equipment and performed static suction, as well as six different pumping modes. This machine also includes a wide variety of glass and plastic cups that will give you many options when working on clients. In addition, this machine includes a coupon for an online training course that may redeemed at our online education site, ACE Institute Online. This course takes students through a comprehensive set of lessons and training videos that explore the art of MediCupping therapy. 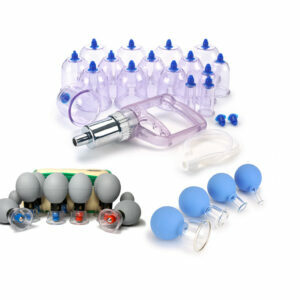 Students that wish to receive their cupping therapy certification may then choose to continue their coursework by purchasing the $40 final exam, which is available for purchase after completing the course. An exclusive instructional video on the proper use of the machine is included only with the purchase of this machine. The white roller-ball cups included with the MC-600 are a bonus from the manufacturer. Due to sterilization and sanitation issues, we recommend that these be for personal use or for a single client. A standard flat rate shipping cost of $29 will be processed during checkout. Shipping outside of the US and Canada will be calculated exactly and international customers will be invoiced for charges above the standard rate.